Word is that feathers, sequins and glitter will be all the rage, which is music to our ears as here at PDG we practically breathe the stuff! If you are looking for a classic approach to your special day, ombre pastels will maintain a strong presence this year, with everything from bridesmaid’s dresses to flowers taking on a vintage watercolour effect. If like many, you are conscious of keeping your wedding ‘green’ (in the eco-friendly sense as opposed to colour scheme! ), our warehouses are packed with faux foliage including dainty daisies, blooming blossoms and beautiful bougainvilleas in a spectrum of soft hues. Themed Receptions remain ever popular, with couples looking to inject a little personality into their celebrations. This is where we really come into our own! Whether you’re looking to have your guests tumbling down the rabbit hole for an Alice themed tea party, or you want to feel the sand between your toes with a seaside themed soiree, we can help to transform your venue at a price that won’t leave you considering elopement! From chic styling, to all-out theming for any venue, our meticulous attention to detail and uncompromising service never fails to impress. Why not email gemma.taylor@propdeadgorgeous.com to find out more? Well, now that Christmas is done and dusted, we are very much looking ahead at fresh ideas for Spring/Summer 2015! 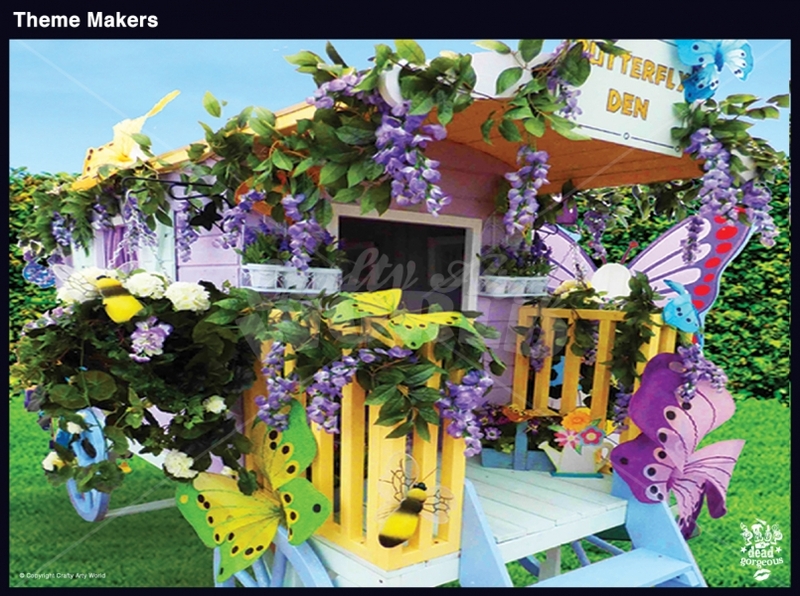 Perhaps the term ‘theme makers’ should really be called ‘dream makers’ as in essence that’s exactly what we do at Prop Dead Gorgeous® – bring your vision or your dream to life in unbelievable ways. Transforming venues into make-believe worlds, far away places, edgy urban retreats or a fusion of romantic nonsense is exactly what we do. With hundreds of themes ‘ready to go,’ we have over a thousand others waiting to be born. Stylish, electric, unique, grand, dramatic, authentic, chic and fun; that’s really what Prop Dead Gorgeous® is all about. For more information email gemma.taylor@propdeadgorgeous.com. 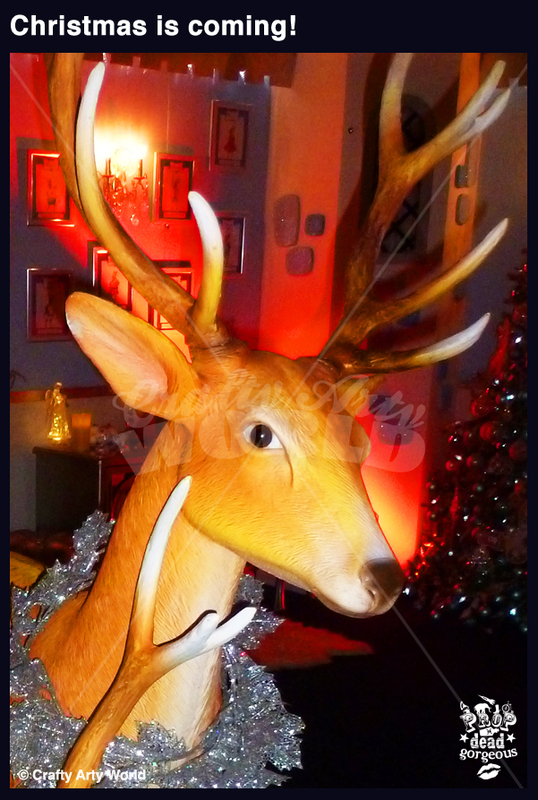 With the festive season truly upon us, the Prop Dead Gorgeous team have been out and about creating some of the most magical and memorable parties across the UK and Europe. From astonishing Christmas Castles complete with Singing Drawbridge, Cirque de Soleil Carnivals, Parties at the Palace, to Corporate ‘Naughty or Nice’ Grottos for Adults – YES adults…..you heard it here first! With the New Year now just around the corner, our new theming concepts for 2015 are well past the drawing board stage and in January, we start all over again. You can read all about our latest ventures with our sister company Big Footfall as seen in Shopping Centre Magazine out in February as well as our Spring Edition No 2 of CAW Business (Don’t forget to let us know if you want a FREE copy). In the mean time with hundreds of successful parties done and dusted, props packed, unpacked and packed again and just a mere 12 more corporate events to go between now and the big day, life is never dull at Prop Dead Gorgeous HQ! For more information, email gemma.taylor@propdeadgorgeous.com. Here at Crafty Arty World the Christmas season is in full swing! 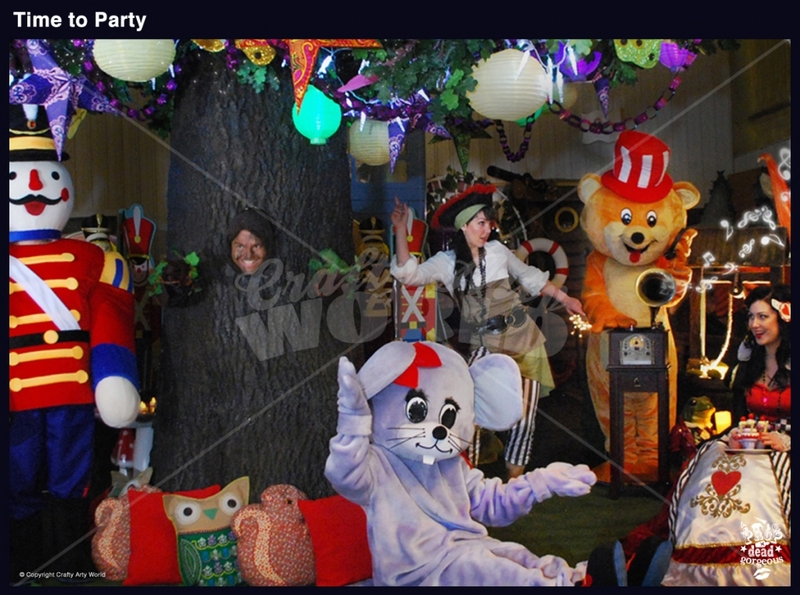 Our prop hire and theming division, Prop Dead Gorgeous, have warehouses brimming with festive props, from Crystal Christmas Grottos to Sparkling Santa’s Sleighs to giant Marshmellow Mirrors! Many stunning installations have been commissioned for 2014 by Shopping Centres through our retail division Big Footfall, where as Crafty Arty Parties, experts in Corporate Events, including Private Screenings have been busy preparing for a red carpet affair of The Hobbit: The Battle of the Five Armies! Tikes & Tiaras our private division for ‘elite children’s parties by appointment’ has just won a tender for a sensational child’s 1st Birthday party 2015 with an ‘open budget’ but with a very ‘pink’ brief – we can’t wait! For more information on what Prop Dead Gorgeous can do for you, please e-mail Gemma Taylor at gemma.taylor@propdeadgorgeous.com. Welcome to Prop Dead Gorgeous! Here at Crafty Arty World International, we recognised a major gap in the market for AFFORDABLE themed prop hire and event design – hence Prop Dead Gorgeous was born! 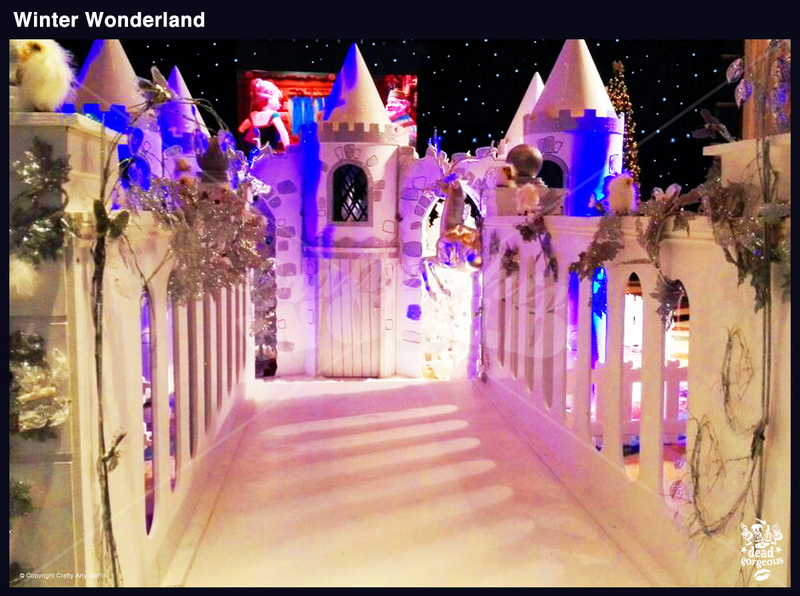 PDG is a cutting-edge event prop hire and theming company which owns, designs, creates, builds, sculpts, paints and installs hundreds of exciting installations for both children’s and adults events, throughout the UK and Internationally. 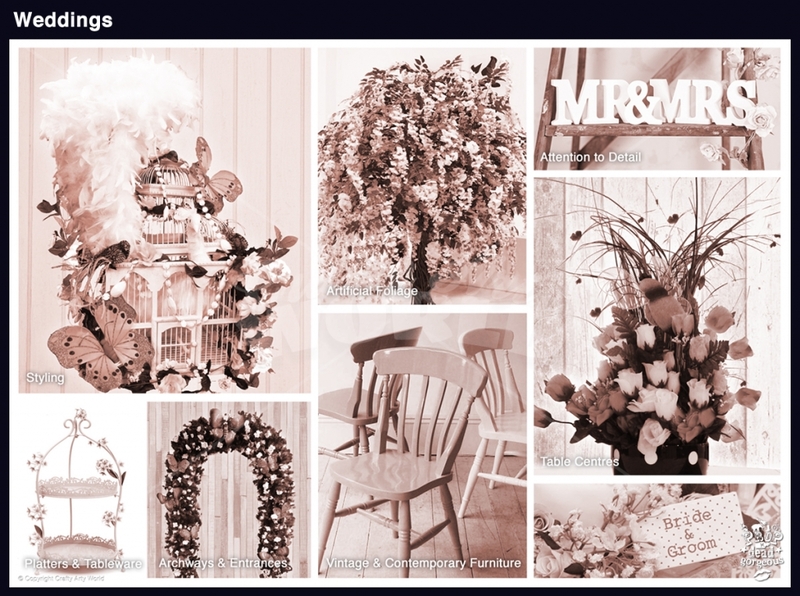 Our exciting new website has been designed to showcase what Prop Dead Gorgeous is all about – spectacular props and breath taking theming bringing your event to life without exhausting your budget! In addition you will find a catalogue of our ever growing themes, an upcoming dates calendar so you can plan your prop hire in advance, a gallery as well as the latest news and updates! Here at Prop Dead Gorgeous we manage the entire prop hire process, from ‘one off’ bespoke designs to large and smaller scale installations for both adult and children’s events. So whether it’s a private party, corporate event, retail promotion, brand launch or wedding, our warehouses and showrooms, which are bursting with life sized models, showsets, backdrops, artificial foliage, grottos, thrones, furniture, costumes and so much more, are waiting and ready to bring your vision to life! P.S. Don’t forget to look at our new showreel too – parties, promotions and props that make you ‘Happy’!